After 3 days in Seville, we understand why this magical city has captivated the hearts and stories of people for over 100 years. This city has been the set and inspiration of many famous stories and plays including Shakespeare’s The Barber of Seville and Bizet’s Carmen. Seville has been conquered and reconquered many times over its history, with every culture leaving the best of their recipes and techniques behind. Seville is also the capital of the agriculturally productive Andalusia region. These two factors combine to make wonderful tapas, many think the best in Spain. 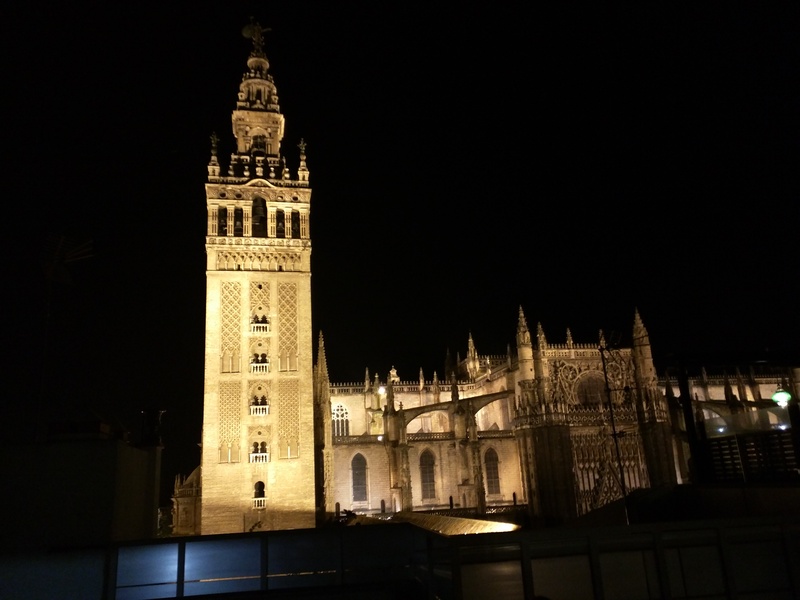 One of the main attractions in Seville Cathedral and the Giralda Tower. We were able to see these at night sitting on a hotel rooftop bar near the square which gave awesome views. There is a huge park in the city, Maria Luisa Park, which is great for wandering through the gardens and seeing the Plaza de Espana. 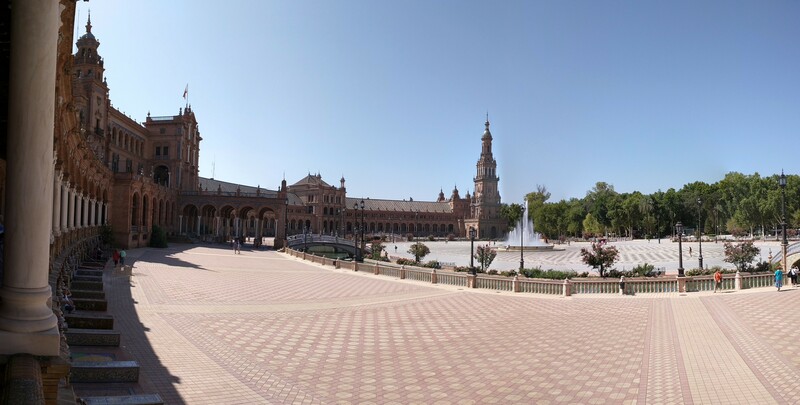 The Plaza de Espana was built in 1928 for the Ibero-American Exposition of 1929. The Plaza is still to this day the home of many government offices. 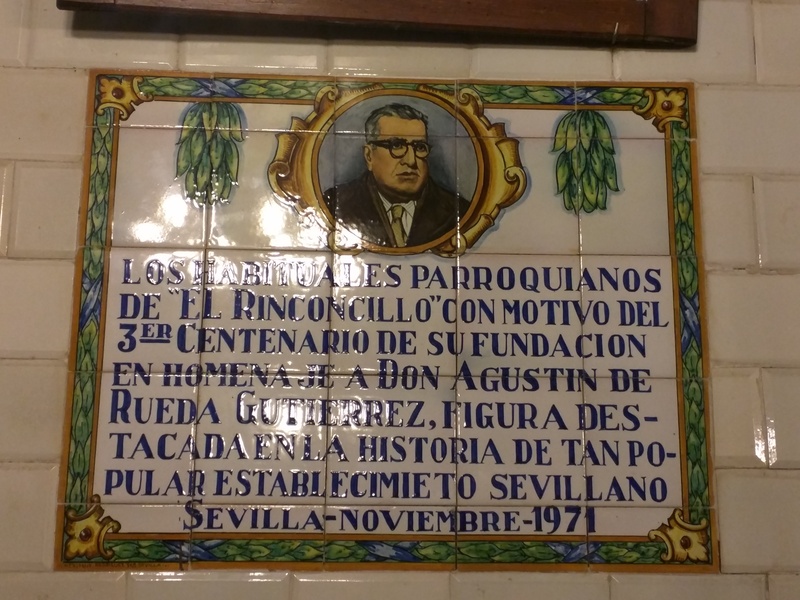 The neat thing to do at the Plaza is to see the many tiled alcoves that each represent a different province of Spain. 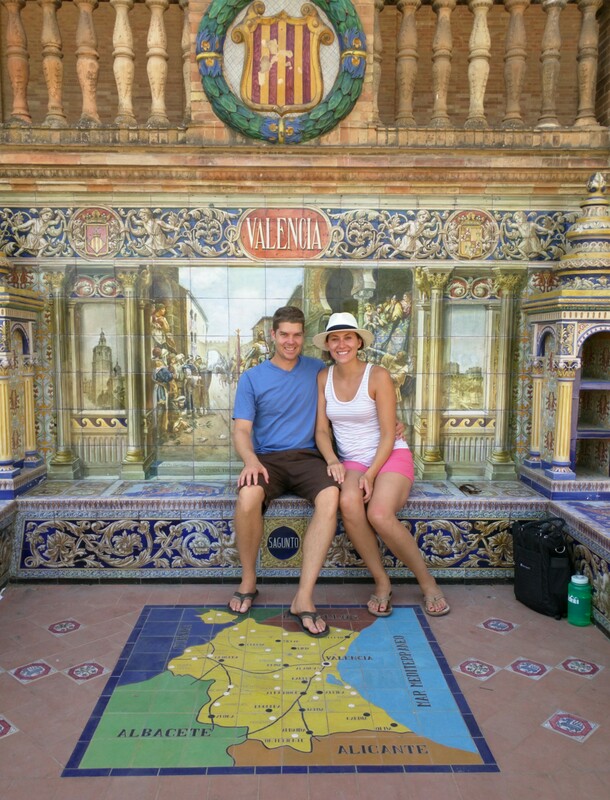 We made sure to take a picture by the Valencia alcove. The park is pretty big so you can either spend 45 Euros (45 minutes) to take a horse drawn carriage tour or rent a bike for 10 Euros (30 minutes) and peddle around the park. We are living the budget lifestyle so we opted for the bike. Visiting Seville, no trip is complete without a tapas bar crawl. As the locals do it, you hop from bar to bar sampling a drink and small plate of food, or two, at each one. Our crawl featured six locations and everything from smoked cod on toast to $100 a pound jamon and chicharrones. 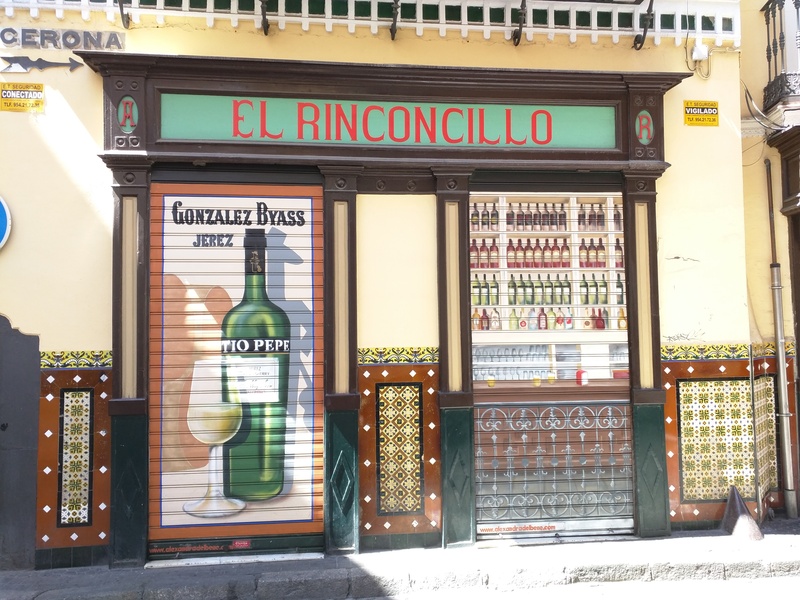 We won’t recount all of the stories so here is the list of some of the haunts we visited, one has been serving Tapas for almost 350 years (El Rinconcillo). Other locations we visited: Bodeguita Antonio Romero, Casa Morales, Taberna Coloniales, and La Fresquita. 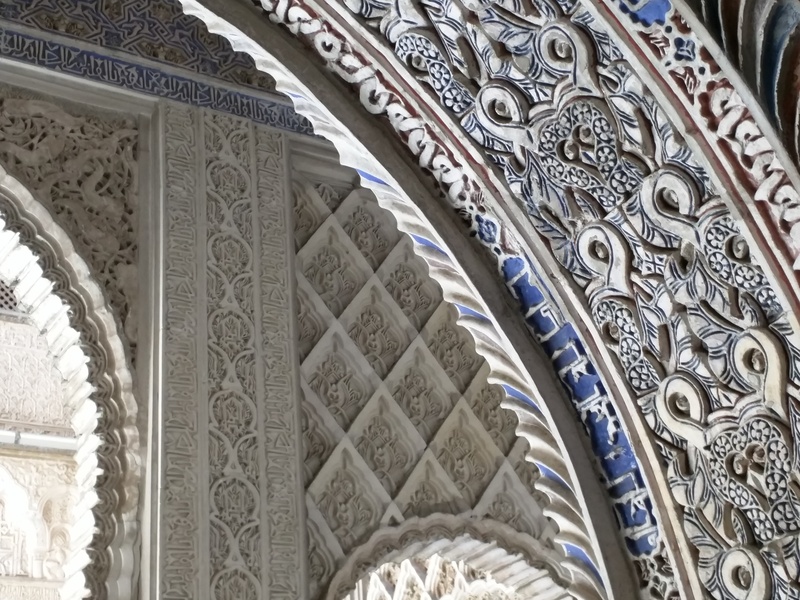 For one of our days in Seville, we visited the Real Alcazar of Seville located right in the current heart of the city, this palace was originally but by the Muslim Moors, who ruled the city from 712. 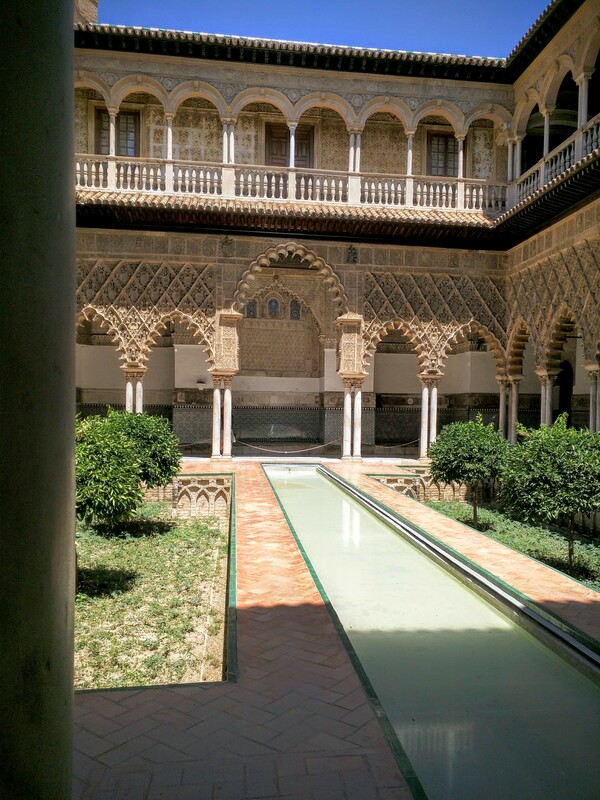 Then in 1248 the city was captured by the Catholic Spanish and the Royal Alcazar was converted into the part time home of the Spanish Royal family. 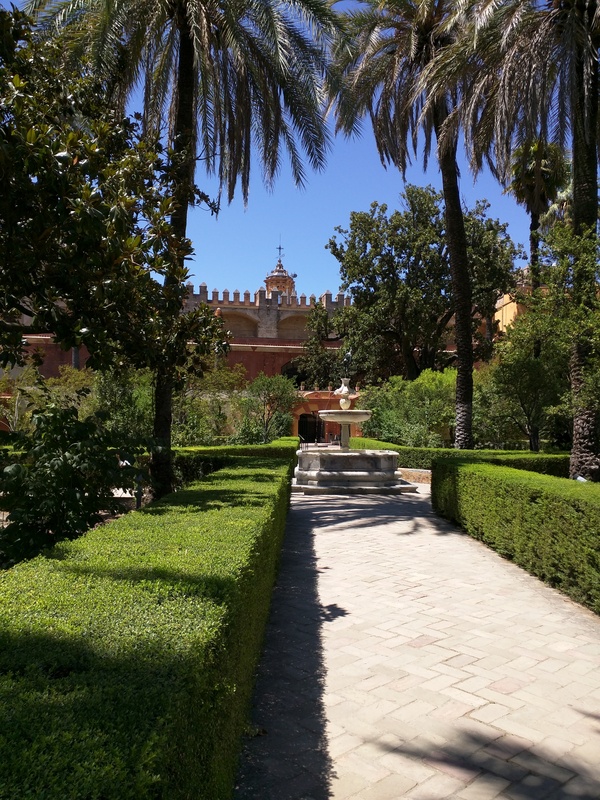 The gardens of the Royal Alcazar are beautiful if only slightly less impressive than the palace itself. Built mostly by Christians, the gardens have a distinctly Arab feel with water at the heart of every area of the garden. Evolving over the 1000 years, the palace and the gardens have hosted countless dignitaries. We couldn’t help think that we were walking on the same grounds as Christopher Columbus when he returned to the King’s palace for the first time after discovering the New World. 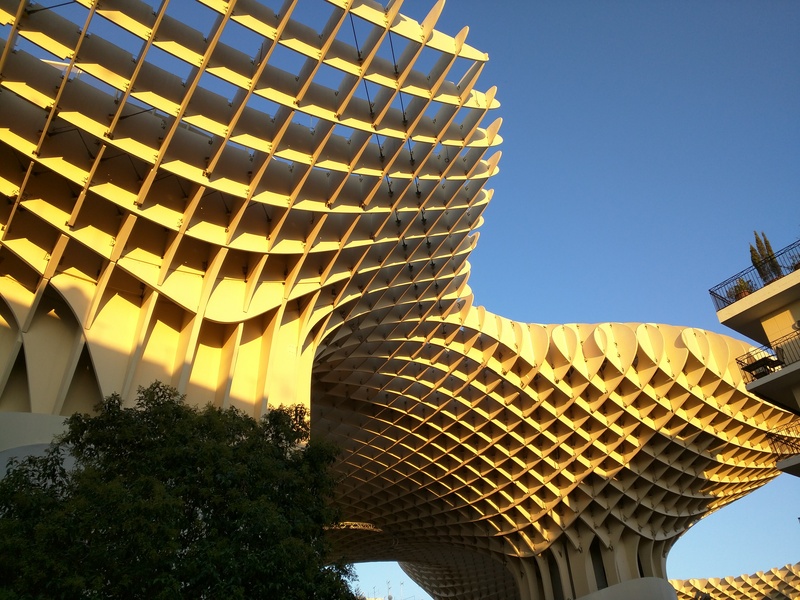 One of the other crazy sites in Seville is the parasol which is a huge piece of modern art in the center of the city. The people of seville are not super thrilled by this artwork and now refer to it as the mushroom. 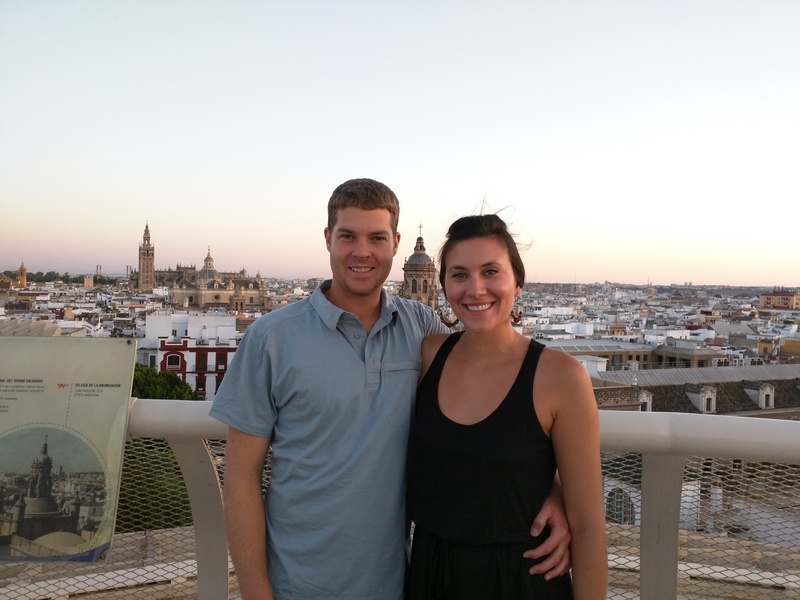 This is a good place to see the sunset in Seville and snap a few pictures. Its 3 Euros/Person but it includes a drink at a nearby participating bar. Go on a tapas bar crawl. There are so many tapas spots so just do a little research and wing the rest! Take a bike ride or carriage ride in the Maria Luisa gardens and see the Plaza de Espana.